Full disclosure. Raul was a groomsmen at my wedding. That's my guy. I was an idealist in college studying Poli-Sci, and got a job at the local tax collector's office and well, him and I hit it off right away. So I was thrilled to hear he was going to get hitched with Yesi, whom I also got to know really well. 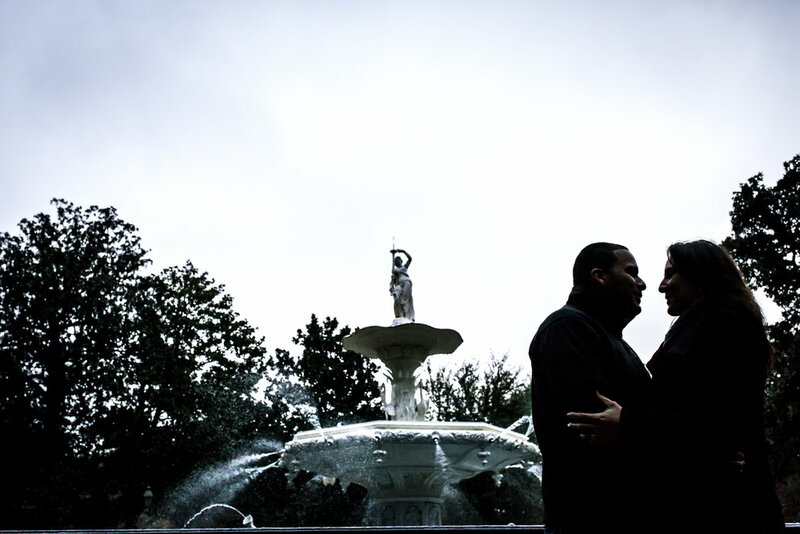 When they asked if my bro and I can document their wedding, that was a no-brainer. 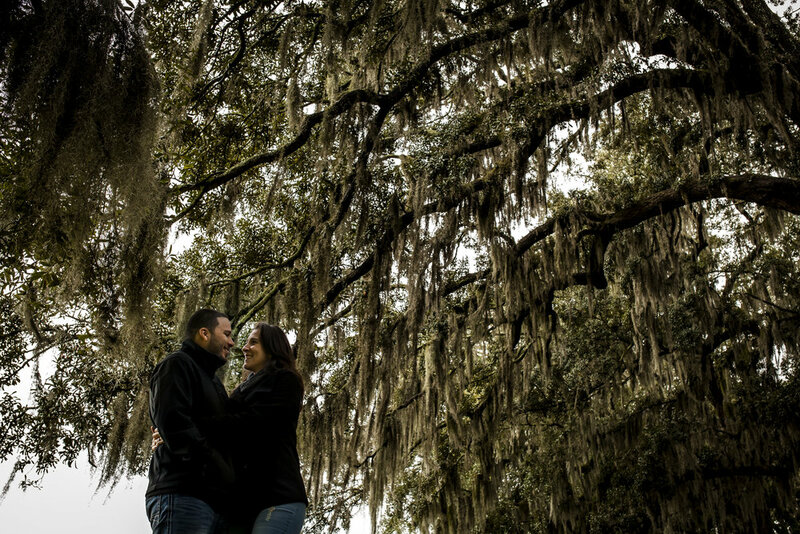 What was interesting is that they chose to do their engagement shoot in Savannah, GA. This was cool because I think Savannah is just a beautiful city. Secondly, I get to play host, something my wife and I truly love to do when people visit. After their tumultuous road trip to Georgia (13 hours due to a car accident), they didn't want to waste any time. They got to the house around 6pm, dropped their luggage off and Raul was like, "Dawg, let's go." I grabbed my gear, my jacket, and we were off to the historic district. We first had dinner and spoke about their wedding plans and all the vintage DIY projects they were working on. Seemed like a lot, but if anyone could pull it off is Yesi, that chick is super creative. We walked around the district at night and took some pictures in front of the theatre and down on River street. The next two days would be a little of the same. We'll do some sight seeing at the Wormsloe Plantation, Ft. Pulaski, while taking some pictures. It was really a unique way to photograph an engagement shoot. I felt like I also captured their vacation as well. These two are extremely warm people, and I just love spending every minute of it with them. I also think they enjoyed Savannah. My wife and I were pretty good host.